Shop update today with BEYUL! - Kettle Yarn Co.
Shop update today with BEYUL! Hope you are well and enjoying the summer (if you are in this hemisphere) and that your version has been better than ours here in Britain. If you are on the other side of the globe I wager your temperatures are similar to ours in your winter! The upside of this is that sweater weather has not left us and the urge to knit for warmth is still in full swing. 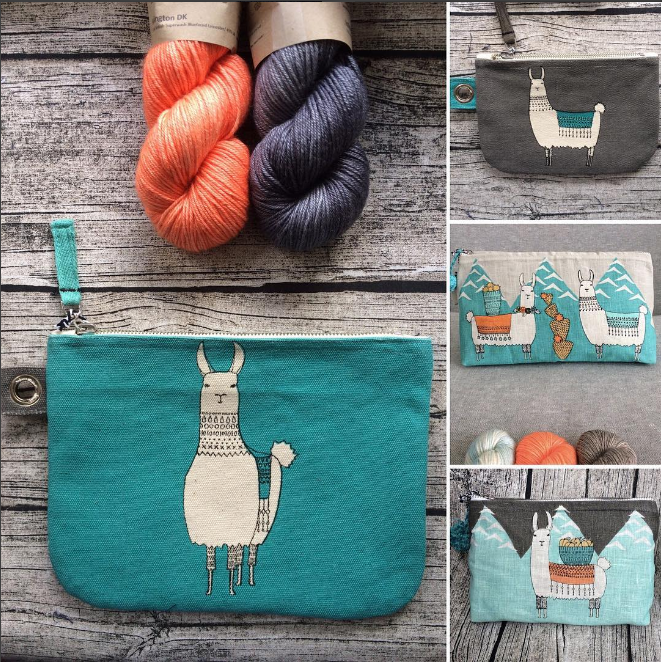 ;-P.
Big news for the update is that the full range of Llamallamallama bags are now available in shop, shown above. Don’t forget to sign up to the mailing list for the full preview.